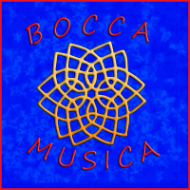 Special thanks to all the amazing friends and fans who helped Bocca with their Kickstarter campaign. We couldn't have finished our newest CD, "Yo Ho! ", without you! CHEERS!